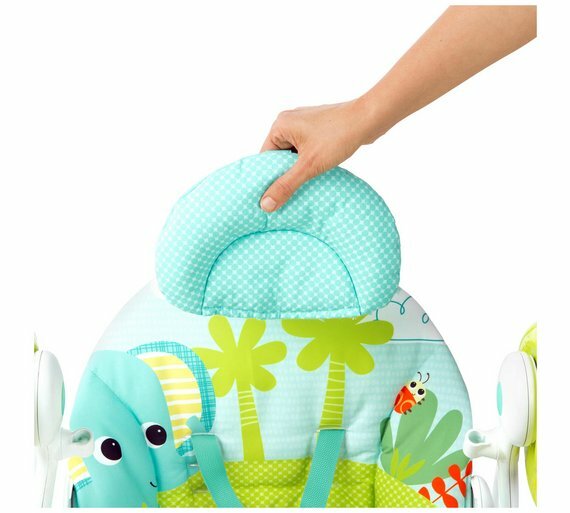 Removable washable cover - clean with a sponge and warm soapy water. 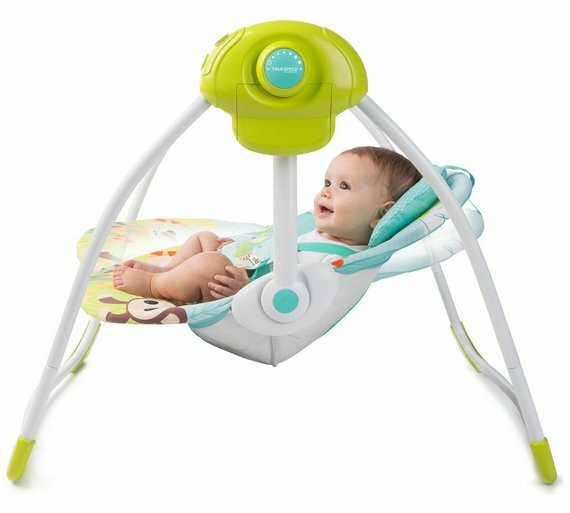 Batteries required 4 x C .
Toy bar removes for easy access to baby and includes 2 playtime toys. Whisperquiet operation for a virtually noiseless experience. 6 soothing melodies with 3 timer settings. 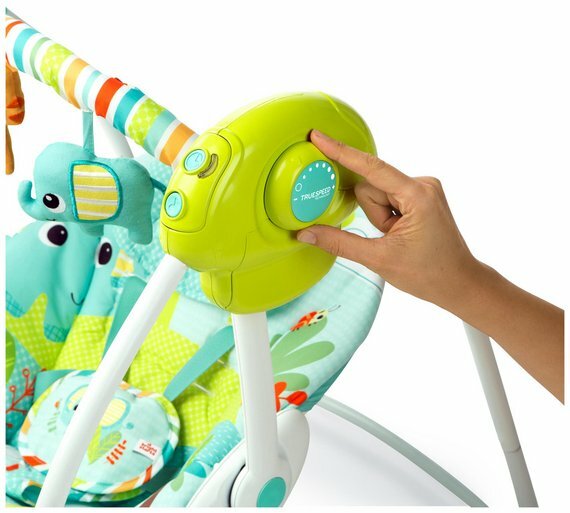 Weight-adapting technology means baby's favorite speed will remain consistent, even as baby gets bigger. 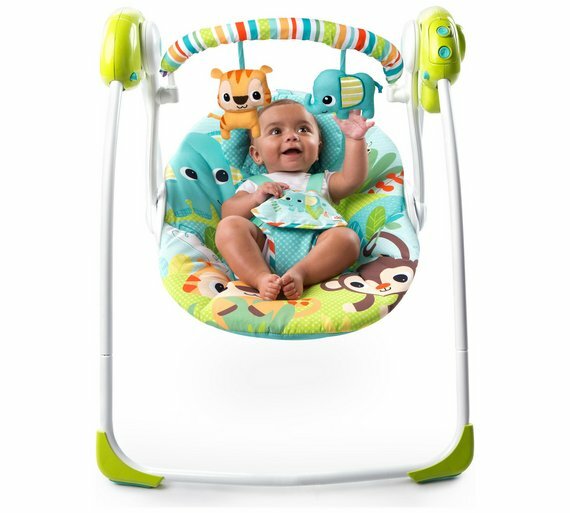 Features music to sooth baby - . 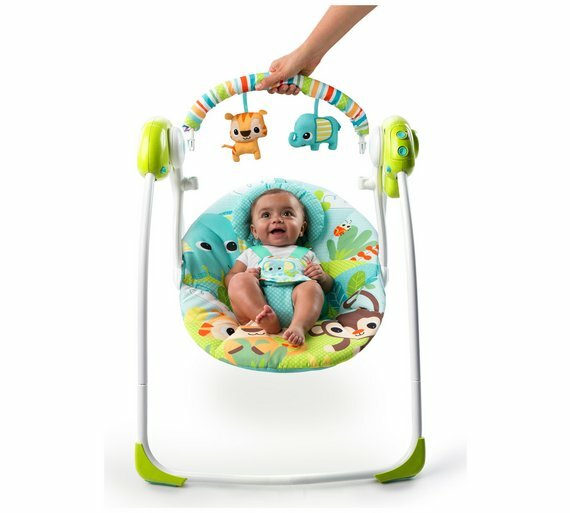 Features front-to-back swinging and 6 swing speeds.